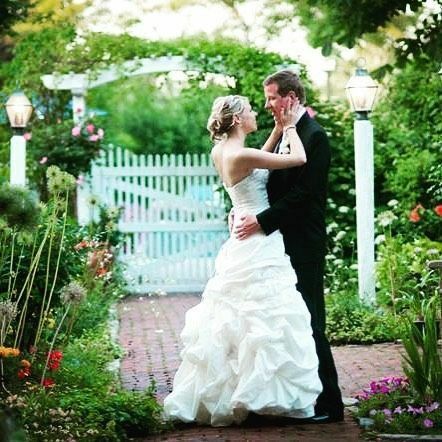 Dan’l Webster Inn & Spa is an elegant, Cape Cod wedding venue nestled in the heart of Sandwich, Massachusetts. 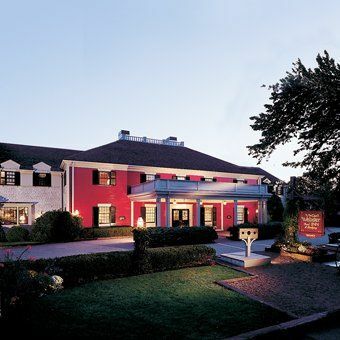 Situated only 45 minutes from Boston, this luxurious inn and spa prides itself on its award-winning cuisine, extensive wine list, and attentive staff. Couples and their guests will enjoy their exquisitely manicured gardens, romantic gazebo, and gorgeous reception facilities. 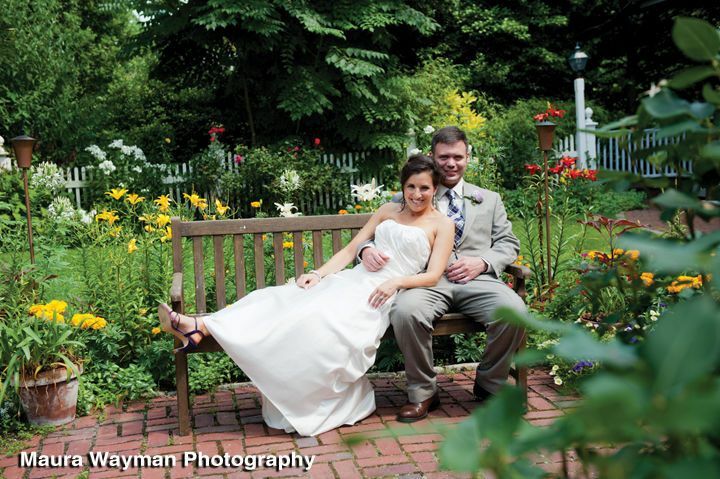 Dan’l Webster Inn & Spa looks forward to making your special day everything you dreamed it to be. 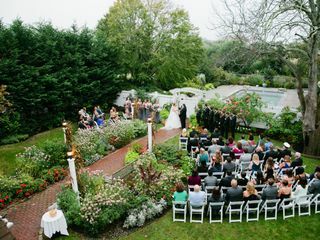 Couples can accommodate up to 150 guests for a sit-down reception at this garden-style wedding venue. For your ceremony, you can say your “I do’s” on a white, sandy beach or in their beautiful and intimate garden, surrounded by towering trees and colorful floral. 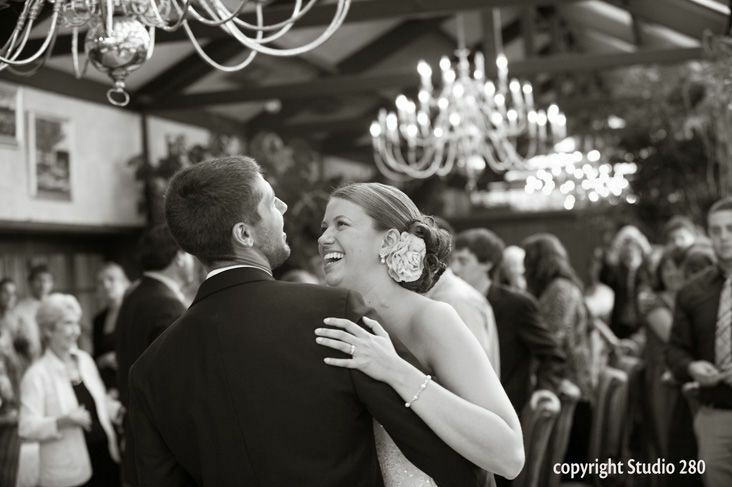 After you exchange your vows, you can dine and dance the night away in one of their versatile, indoor event spaces. 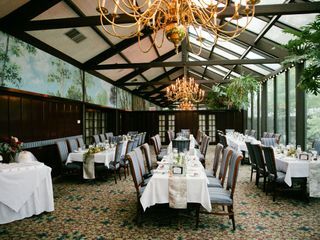 The Conservatory is a unique dining room featuring glass walls, while their Music Room features a baby grand piano and gas fireplace. For grand affairs, you can rent out both rooms. Other options include their Jarves room, Webster dining room, and Heritage dining room. 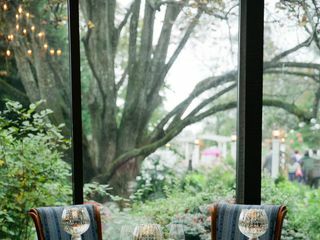 The award-winning culinary team at this unique wedding venue will work with you one-on-one to create the custom menu of your dreams. Couples can choose a buffet, cocktail reception, family style, French service, plated, or station meal option. Their team also offers scrumptious hors d’oeuvres and delicious desserts. How do we even start this review? Everything was PERFECT! Flash forward to weekend off the wedding- it's raining. We met Amy the day before and she assured us that we would all continue to hope for good weather but be totally prepared to take it inside if needed. The day of coordinator Rob was a star in his own right. He checked in throughout the day, did multiple walk-throughs of the ceremony the night before, and assured me over and over that yes- we can get married outside even if it is a bit misty. He coordinated everything flawlessly. 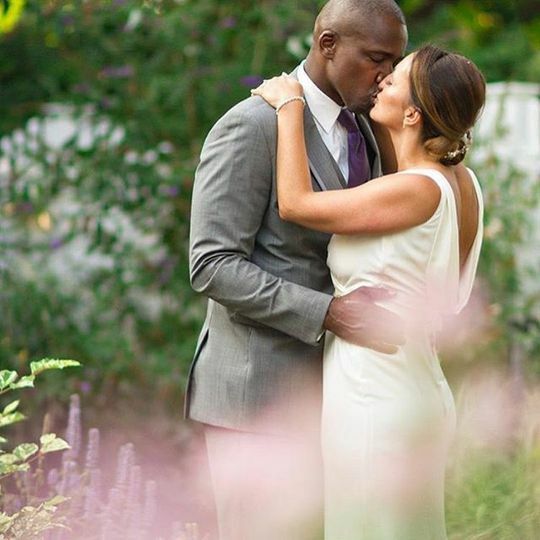 The end result was a perfect New England fall wedding. 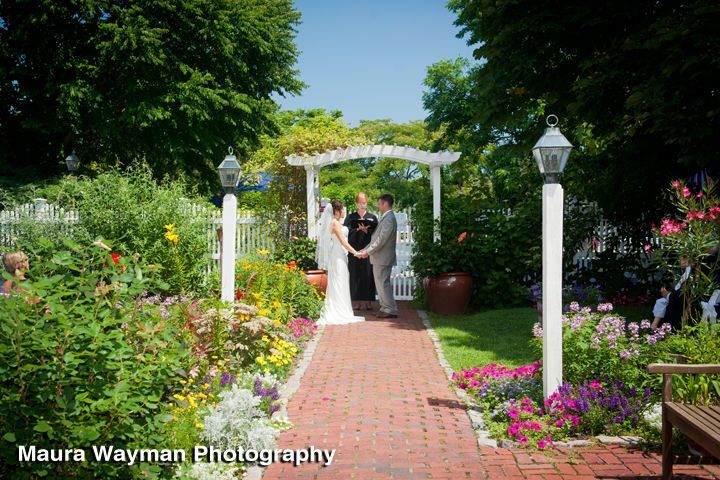 We did first looks at the Boardwalk beach and all our portraits, ceremony, and reception at the Inn. The Dan'l Webster staff kept wiping down the chairs to clear the light mist and we were able to get married outside in their beautiful gardens despite light rain. The reception rooms were stunning- we used the Music/Conservatory- and all the guests we have spoken to have expressed how beautiful the venue and how delicious the food was both at our reception and the Farewell Breakfast the following day. Thank you so much for everything! I'm sure we'll be back again as guests in the future! 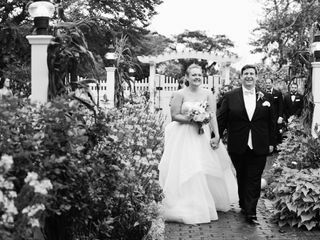 We had our wedding (6/25/16) at the Dan'l Webster Inn, and everything -- from check in to rehearsal dinner to the ceremony and reception to the bridal suite, garden, and food -- exceeded our expectations. The wedding coordinators are very quick and so helpful. We booked a year in advance, and had lots of questions about how everything worked and what we needed to do, all of which were answered in detail and very promptly -- including long, hypothetical treatises on different alcohol sales possibilities. As the date got closer, we went in for a meeting, during which I'm sure we were asking really picky questions. But both Kate and Amy were so gracious and patient, and sat with us for a solid half hour, even going to get the chair sashes we picked so we could see them in person to make sure the color was right. They accommodated food allergies and last-minute seating and guest changes absolutely seamlessly. The day of, Kate directed everything so flawlessly. We kept right on time, I was never anxious about what I needed to do, but I also never felt like she was hovering. She managed to keep us on schedule through pictures, the meal, greeting our guests, all that stuff. And she was so upbeat and fun to work with. The food was amazing. We got the chicken oscar and swordfish for our entrees and our guests couldn't stop talking about how good everything was. Even the kids meals got rave reviews. They were even willing to send a meal upstairs to a hotel room where my brother's mother-in-law was watching his baby daughter -- that's definitely above and beyond, considering she wasn't even a guest at the wedding. 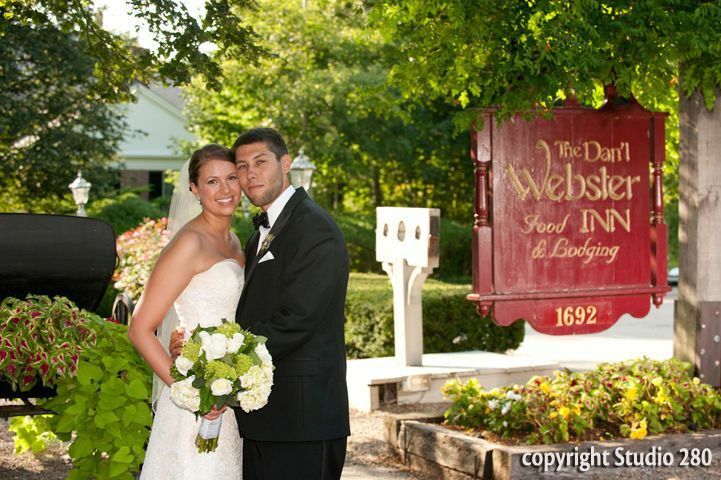 We chose the Dan’l Webster Inn for our celebration after we had lunch there one afternoon. Just being average lunch guests, we had an attentive and professional waiter, a beautiful view from within the conservatory, and incredible food. We wanted this experience for our guests, only magnified – and the Dan’l Webster did not disappoint. 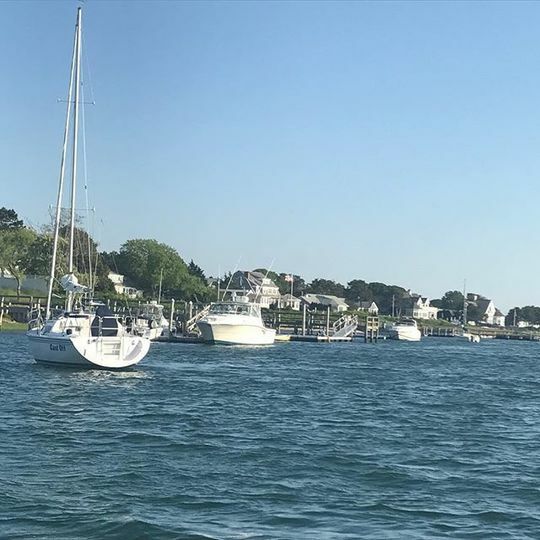 When we met with Bethany about having our wedding ceremony and reception at the Dan’l Webster, she was able to give us a fuller view of what to expect, including the breadth of services, approximate cost per guest and additional costs we might want to budget for. Leading up to the day, Bethany was communicative and diligently responded to all of my many questions and concerns. On the day before the event, we tried our signature cocktail (Pimm’s) to make sure it tasted just right, and went over last minute details as well as our rehearsal. On the day of the wedding, Bethany and Dana took care of everything: guests were handled, vendors had everything they needed (including our DJ, who needed our first group dance song! ), and had drinks in hand for us after our ceremony! The venue looked fantastic. The food was even more delicious than on the many times we had dined there before. I found out that we were short one place card for a guest, and Bethany with consultation with the groom carefully made one to look exactly like the ones we created at home. When the night was over, they made sure we had the cards from our guests and secured the gifts downstairs until we checked out the next day. Our room was decorated with rose petals at the end of the night, and we even had 3 slices of our cake beautifully presented for us! 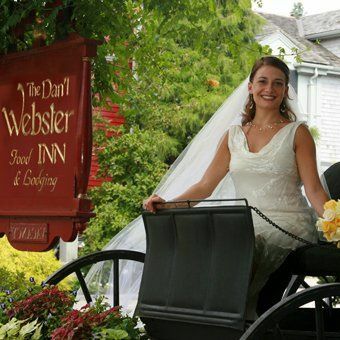 The team at the Dan’l Webster went above and beyond to make sure our wedding day was what we had envisioned and so much more. We were surprised to receive a beautiful print of the Dan’l Webster in Old Sandwich – many thanks for giving us a token to remember an unforgettable day.